In our country, there is a joke that assumes satirical heights that while in advanced countries of West the very sight of policeman evokes sense of security and well being, here in India it evokes fear and sense of insecurity. In fact, there is a grain of truth in this satire as it is a common fact in our society that no peace loving citizen wants to get involved in any type of police case. After all, the reputation of the guardians of law and order has taken hit since the independence due to various reasons. The aversion, contempt, prejudice against the police service can be traced to the root of its very inception in the Police Act 1861, enacted during the British Raj. Our common sense must allow us to guess that the Police Act was enacted by the British Crown not just to regulate the agency of the colonial government, but more importantly to keep a nation under subjugation. Provisions to regulate the assembly of persons, quartering of additional forces in disturbed and dangerous districts, all bear the stamp of this intention. When the country became free, policing became the subject of states and all the states adopted this act with minor modifications. After independence, police only got transferred from the colonial government to political administration where the interest of ruling party became synonymous with that of state’s. 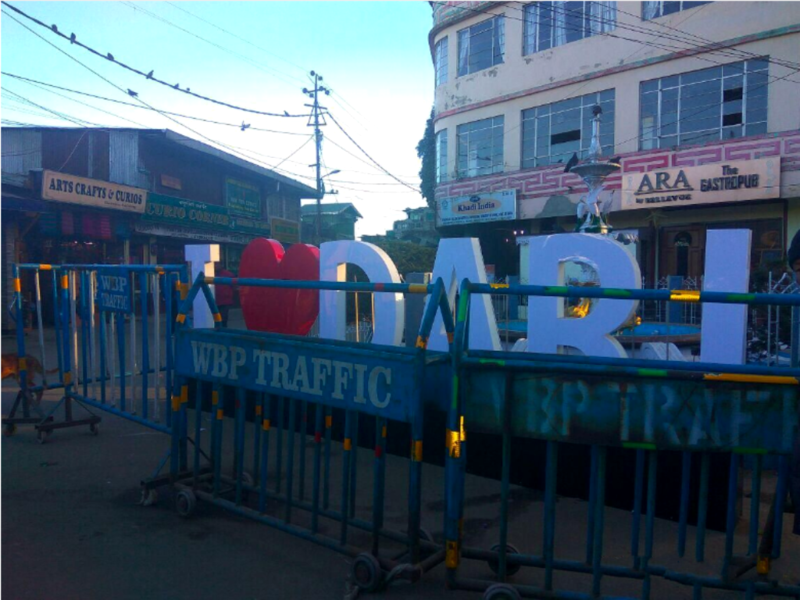 As a relic of colonial character, no attempt has been made in the Act to define the relationship between the people that forms a socio-economic community and the police that is tasked to secure an area inhabited by such a community. The word community or people do not appear in the Act, as if deliberately ignored by the colonial masters of the time. The framers of the Act did not make any attempt to make the police community conscious and therefore, people’s security is not a term that guides their actions. The psychological reflexes of police do not respond to this notion. Interestingly, the word ‘service’ was also never used by the Britishers for police instead only Imperial Police was used while there was Indian Civil Service to run the administration. It seemed they were hesitant in calling Imperial Police a service as they wanted to avoid a relationship between the police and the community. The Act however refers police as ‘force’ which has connotations in negative sense that include power, exerted strength coercion or use of threat of violence. This force was never given a human face, the force was used by the administration to ‘police’ the people and not allowed to act as the people’s police. However, any government organ not complying with the aspirations of people is a mockery of democracy where people are the masters of all they survey, in a nation where people, not the representatives or rulers have solemnly pledge to constitute a sovereign socialist secular democratic republic. The National Police Commission constituted under Dharma Vira in 1977 had framed a Model Police Bill where it had incorporated community consciousness in its preamble. It said the police has paramount obligation and duty to function according to the requirements of the constitution, law and the democratic aspirations of the people. The bill also required the police to be professional and service oriented and free from extraneous influences and yet accountable to the people. Unfortunately the political mindset ruling the country has so far failed to transcend the political sub-culture it imbibed post-independence to serve narrow political ends and has allowed the proposed bill to rest in oblivion. In a pamphlet captioned ‘Police Act 1861: why we need to replace it’, the Commonwealth Human Rights Initiative of New Delhi has rightly pointed out that policing in India has been by and large a one sided affair with communities having little or no say in policing plans and strategies that affect them the most. The police can succeed in providing security to the people only with people’s cooperation and not by distrusting them. American scholar Jerome H Skolnick had remarked “democratic police forces are not supposed to be insular, self-contained or cut off from the communities from which their power derives”. It is no surprise that more than 60 per cent of complaints received by the National Human Rights Commission are against the police for abuses of human rights. It is saddening to learn that police personnel in lower ranks are not even aware of Protection of Human Rights Act, 1993. Many of them routinely abuse human rights thinking that the uniform gives them immunity. Little wonder our dynamic Prime Minister Modi had taken steps to repeal and abolish all archaic Acts that had deep roots in the colonial times and are of no relevance today. It must be remembered that all draconian laws like Sedition Act, Official Secrets Act, IPC, Cr PC, were framed by the British rulers for their enslaved citizens and hence they are never citizen friendly. Amendments of these laws to make it more Indian have been voiced by various organisations across the country. According to V Balachandran, former IPS Officer of Maharasthra cadre “Ours is a deep rooted problem that originated with two mistakes in our constitution making, the way the British created our police as a repressive force modelled on the Irish constabulary , and the way we developed it as the only agency to investigate all violations of penal laws as well as manage our internal security . The two mistakes in our constitution making started under British tutelage from Dec 9, 1946, first, the constituent assembly was guided by the Cabinet Mission’s May 16 directive for a weak centre to appease the Muslim League and secondly, the assembly copied schedule 7 of the colonial government’s Government of India Act 1935 placing police and public order with the states”. But the GoI 1935 Act was passed for a different purpose. Explaining the real motive of the British government, Oxford scholar David Stienberg writes “by giving Indian politicians a great deal of power at the provincial level, while denying them responsibility at the centre, it was hoped that the Congress party, the only national party would disintegrate into a series of provincial fiefdoms”. The Çonstituent Assembly proceedings continued up to Dec 9, 1950 and schedule 7 could have been modified at least after our independence in Aug 1947. The members could have realised the danger of placing the police under the state satraps after witnessing how nominees incited the killings in Naokhali and Tipperah in Oct 46. As a result all investigations under every penal laws are entrusted to our state police opines Balachandran. 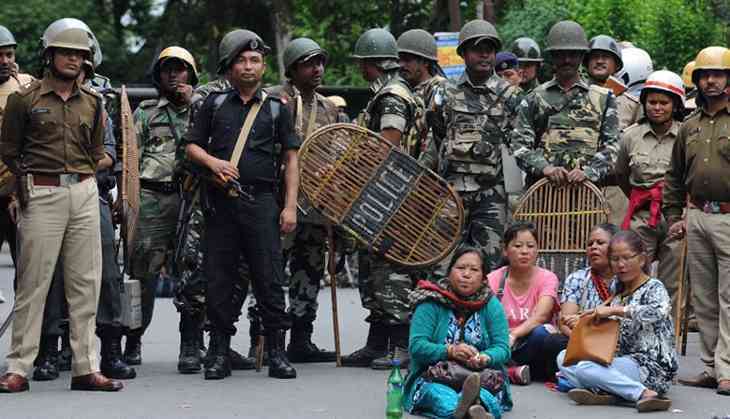 With such nebulous background of the guardian of law and order in the country, it was no surprise that the Darjeeling people had to bear the brunt of the police force in the last year’s 105 days statehood agitation where police came down heavily on the rogue agitators involved in arson, rioting, and other unlawful activities. Every movement of this nature where people seek political emancipation is likely to spiral out of control and become violent, and hence pose huge challenge for the state government to tackle, and hence their ensuing actions would not come without a premium. As a collateral damage of police crackdown on trouble fomenting GJMM cadres, many innocent people, family members and the relatives of the accused had to face the inhuman atrocities of the police. Rule of law was not followed by the very guardian of law as evidenced in the burning of houses of the GJMM leaders, torture of the family members especially wives who otherwise are normally happy in taking care of house chores unmindful of the activities of their husbands. Instances like holding female members of a family at a gun point is no act of valour by the uniformed personnel who have pledged allegiance to the constitution that seeks to protect citizens from all forms of injustices. The high handedness of police in the recent agitation has only highlighted the flaws in the police system and urgently calls for the much needed reforms in the system. Gross human rights abuses especially against the women have been reported from across the Darjeeling hills, and it was a welcome and humane gesture on the part of the Chairperson, National Women Commission, Miss Rekha Sharma when she decided to visit the victims to take firsthand account of the abuses the victims had to face in the hands of police. The dilly dally by district administration including the Superintendent of Police during the course of investigation had been made public by the Chairperson herself on social media like facebook and twitter, which speaks volumes about the state of governance in the 21st century society. 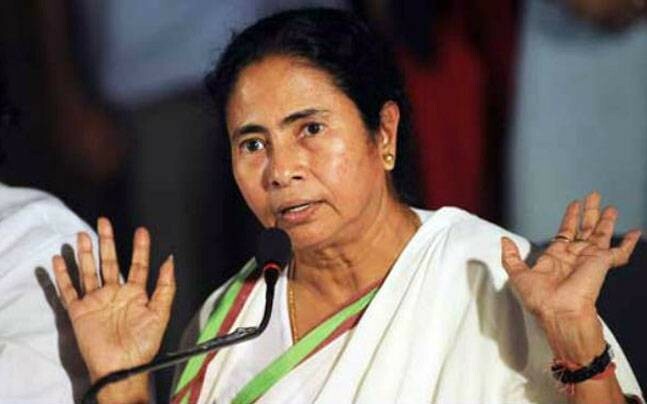 She has lamented on the human rights violations and compared to “Emergency like situation in the Darjeeling Hills as far as state sponsored crackdown was concerned”. Now the report has been submitted to the Ministry of Home Affairs, it remains to be seen what actions would be taken both by the centre and state governments in restoring faith in state amongst the hill people , and how impartially they take actions against erring police personnel. Any adverse action would only antagonise the already marginalised Gorkha population who are a minority in the Bengali dominated West Bengal and only pile up their grudges against the state. 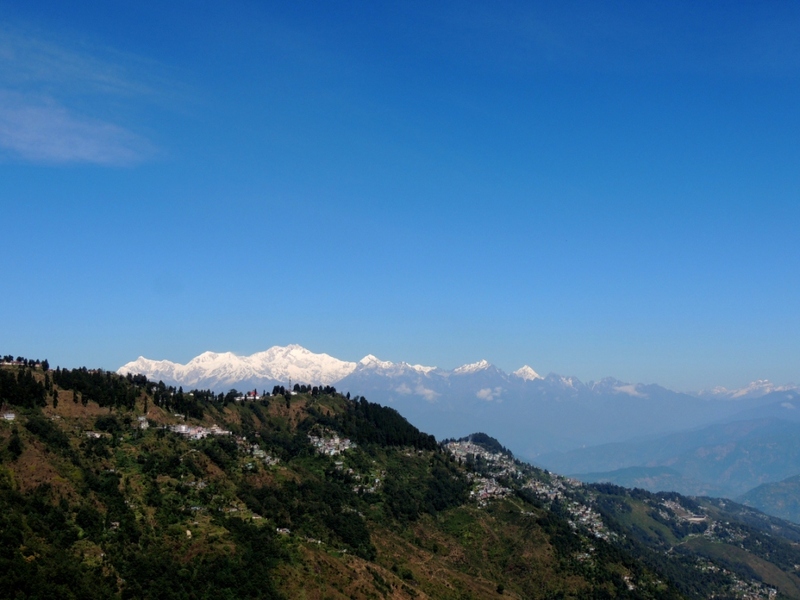 As the hills have limped back to normalcy, the police authorities have to work sincerely towards building trust and confidence amongst the local populace. The recent Kanchanjunga Football tournament and the ongoing Rising Star Contest in the hills are two appeasement measures in the direction of restoring good relation between the police and the local community. It must be borne in our mind that for a true and vibrant democracy to exist, rule of law must be followed by all stakeholders, be it state authorities including police or common citizens. Healthy, progressive, cultured society can only exist in the environment of trust, cooperation and mutual respect amongst the stakeholders. 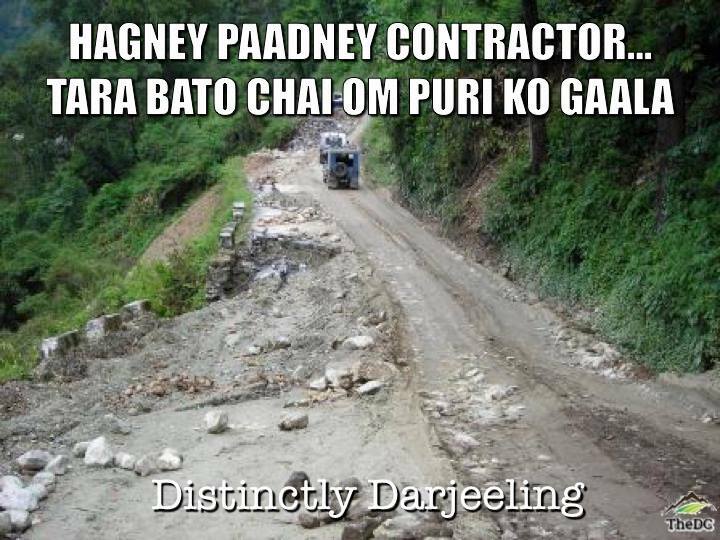 Darjeeling – Where are we heading? Be the first to comment on "People’s Police or State’s Police? Role of Police in a Democracy"